The GSi nameplate is a fond one of many Vauxhall fans. Last seen in the early 2000s, the GSi made a compelling choice between similarly equipped hot hatches for fun to drive turbocharged power, and affordability. It seems Vauxhall may be banking on that brand identity because Auto Express has just spotted a beefed up Astra, and it isn’t a VXR. 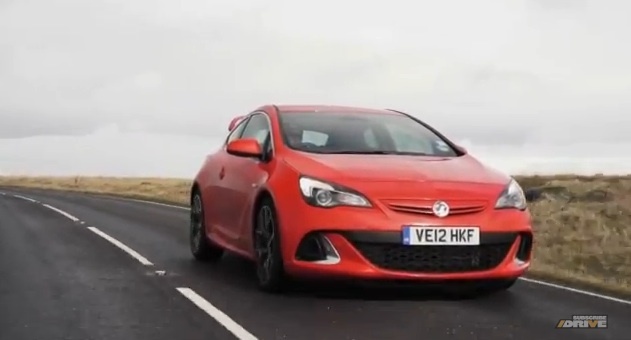 Currently, the Vauxhall Astra VXR sits atop the Astra range and serves as more a direct rival to the Ford Focus RS than anything. With an Astra GSi, Vauxhall can more effectively target the Focus ST variant, and not just storm in guns ‘a blazing with the VXR. The car spied featured buffed up alloy wheels and dual exhaust, fueling speculation for a return of the GSi nameplate. The Astra GSi is estimated to produce around 253 hp from a 2.0-liter turbocharged four-cylinder, but there’s talk of a diesel being added to create a comprehensive hot hatch portfolio for Vauxhall. As we sit here writing this, we can’t help but wonder why GM hasn’t decided to cover this niche in the U.S. market. While its competitors scoop up young, generation Y buyers who are searching for an affordable, fun to drive small car, neither Chevrolet or Buick can match the pocket-rocket aura which surrounds the Focus ST, Volkswagen GTI and others. We’ll keep wishing. In the meantime, check out the spy shots here. Why GSi, when the GTE would be a better bet. The GSi was rather mediocre when compared to he earlier GTE’s. I think Vauxhall should do the VXR Astra with a VXR Astra GTE spec above it and the VXR Astra Extreme at the very top end. Then the final piece of the puzzle will be to release GLOBALLY including the USA and other untouched markets under other GM banners. It really is a no brainer cash cow, waiting to be flogged to market and back. If not then I am a moron from outer space. GTE is good & tbh I prefer GTE to GSi although I wouldn’t put GTE above VXR. GTE was only used on hot hatches Astra & Nova where as GSi was available on Nova, Corsa, Astra, Cavalier, Vectra, Carlton & Zafira MPV. With this in mind & the possibility of GSi Corsa, Insignia, Zafira Tourer to join GSi Astra I can see why GSi was chosen. It makes sense also as there’s obviously a niche in between SRi & VXR.